Consumers Choice Property Consultants provides thermal scanning on most building related problems to identify where the origin of the problem will be, such as: – most leaky roofs, moisture penetrations on building envelopes, as well as looking for energy leakage from building envelopes. Currently, we are working with an outside company in providing UAE, or drone scanning service to monitor anomalies on roofs, building envelopes and challenging areas which are difficult to access. Normally, these scans are performed with both high definition RGB digital camera as well as infrared camera to track for any unusual anomalies in roofs and building envelopes. Then, the scanned photos are analyzed manually to screen for flaws that are not obvious to our human eyes. 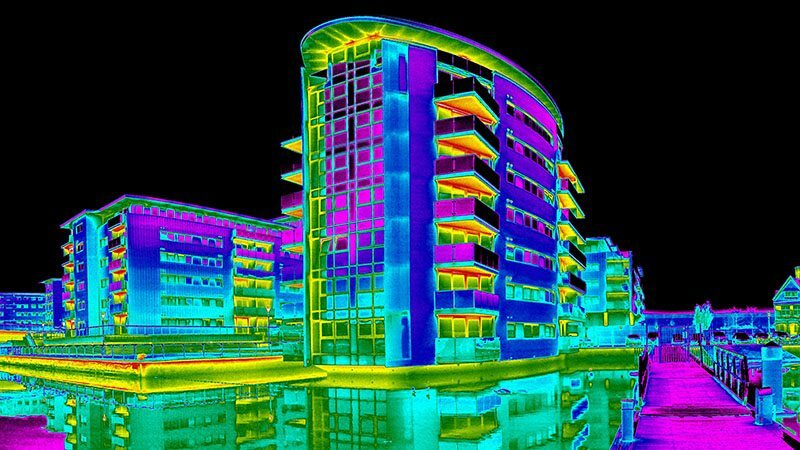 Give us a call today and schedule for an in-depth thermal scan to prevent any future breakdowns due to unforeseen failures of the building and its components. Consumers Choice Property Consultants Inc.